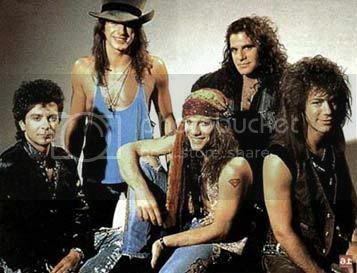 Rock band mullets have evolved from a long history of hair throughout the ages. Over the years it has defined the style of different ages, but through all the centuries it has been clearly defined as a hairstyle that encompasses short hair for the front and sides of the head, but longer hair in the back of the neck. Viewed front on this appears as a simple and neat business cut but viewed from the rear its a wild bush of long hair. We can thank the Egyptian people, particularly the pharaohs, for introducing this hairstyle to the world. The Egyptians wore wigs of black wool that was short in the front and sides but was worn long down the neck and back. Over the centuries the mullet has enjoyed various revivals and been adapted to suit different styles. The Grecian men chose to braid their hair and wore slender ringlets close to their scalps, allowing their fine braids to flow freely down their broad backs. The mullet was reborn in the era of Napoleon Bonaparte, where it was straighter and more simplified. Privileged English youths adopted this more romantic style, which can be seen in paintings that date from this era in our illustrious history. The mystique of the mullet travelled to the new world, being adopted by the native American Indian tribes of the United States. Over time iconic rock stars like David Bowie had adopted the look to define a new age in fashion. 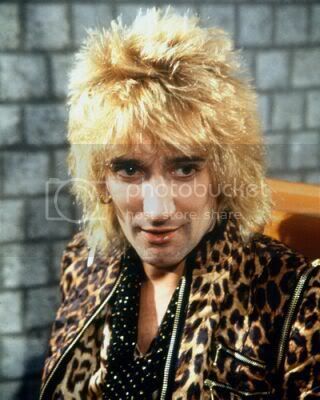 The well renowned singer Rod Stewart has worn this style for many years and it has been adopted by other celebrities too. The tennis star, Andre Agassi, wore a mullet at the high point of his career and the actor Patrick Swayze starred in the film Dirty Dancing sporting a mullet.